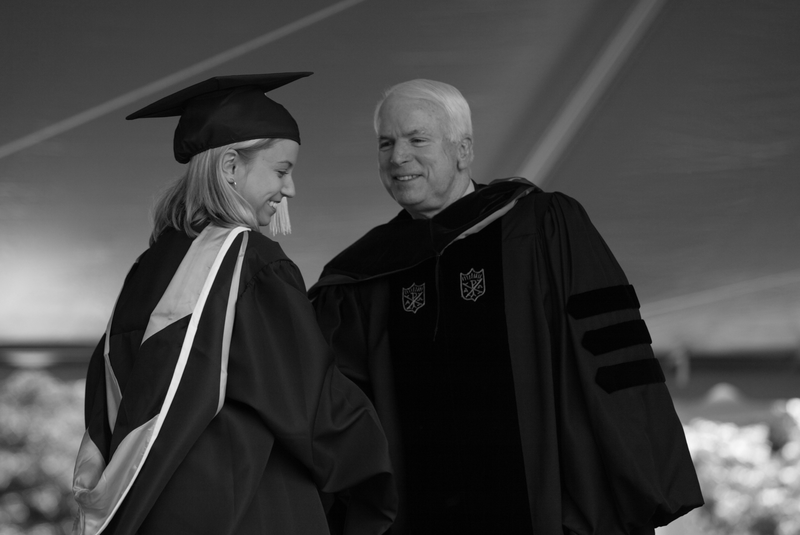 On May 20, 2002, Senator John McCain (R-AZ) received an honorary Doctor of Laws degree from Wake Forest and delivered the commencement address, urging the graduating students to take their knowledge into the world. After passing away on Aug. 25, McCain, who served the country and the public as a prisoner of war, senator, and two-time presidential candidate, will be remembered for living true to his own words. A day after his family announced that he would no longer receive treatment for his cancer, McCain died at age 81 in his home in Cornville, Arizona. The senator had been diagnosed with brain cancer in 2017. After memorials in Arizona and Washington, D.C., McCain will be buried at the United States Naval Academy Cemetery in Annapolis, Maryland. In McCain’s absence, the governor of Arizona, Doug Ducey, can appoint an interim replacement from the Republican Party until 2020, when a special election will be held to determine who will serve the remainder of McCain’s senatorial term, which ends in January 2023. McCain, in his commencement address, reminded students of the privilege they have of living in the U.S., acknowledging that even though it is not a perfect nation, it is one founded on universal ideals. 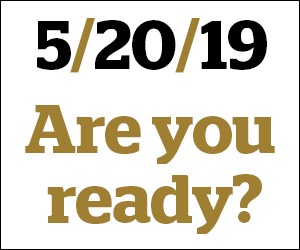 According to Wake Forest News, he was the first Wake Forest commencement speaker to shake each of the nearly 1,400 graduating seniors’ hands as they crossed the stage. In 2008, McCain returned to Wake Forest after University President Nathan O. Hatch extended an invitation to all Republican and Democratic presidential candidates. McCain spoke of his plan for a federal judiciary system on May 6, 2008 in front of a crowd of over 2,000 in Wait Chapel. After being introduced by Wake Forest alumnus Senator Richard Burr, McCain engaged the students of the audience, who were in the midst of final exams, by assuring them that their grades do not define them.